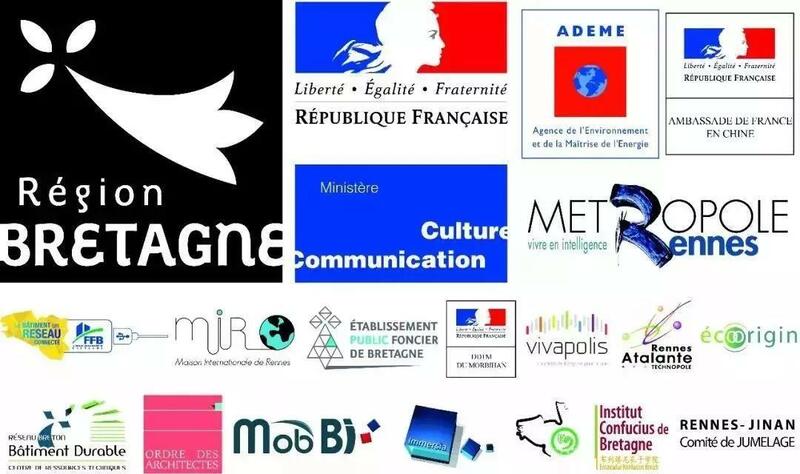 Team JIA+ is a transnational university wing composed by Xiamen University, five universities in Bretagne TSB association of France and Shandong University. 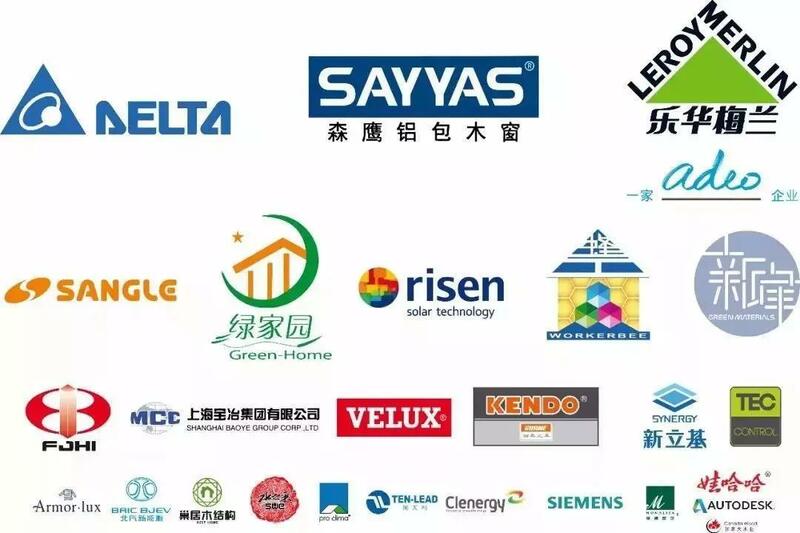 The team members are mainly undergraduate students and postgraduate students of various universities, covering various majors such as architectural design, structural design, interior design, hvac, water supply and drainage, electrical equipment, photovoltaic and intelligent home furnishing. 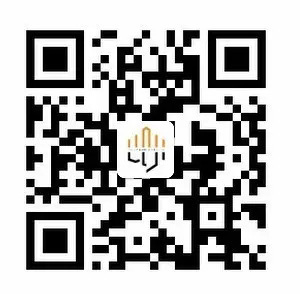 On August 16, 2018, the early morning sun is warm and warm, sprinkling the earth, shining with golden light, still cold air, opening the beginning of the day with the fragrance of earth. Unknowingly, it was the last day of the test. The plan of a day lies in the morning. Although we had gone through a long journey, we still did not slack off. In order to fight the last battle, all of us came to the venue early for the morning meeting. Isn't it wonderful to have friends coming from afar? 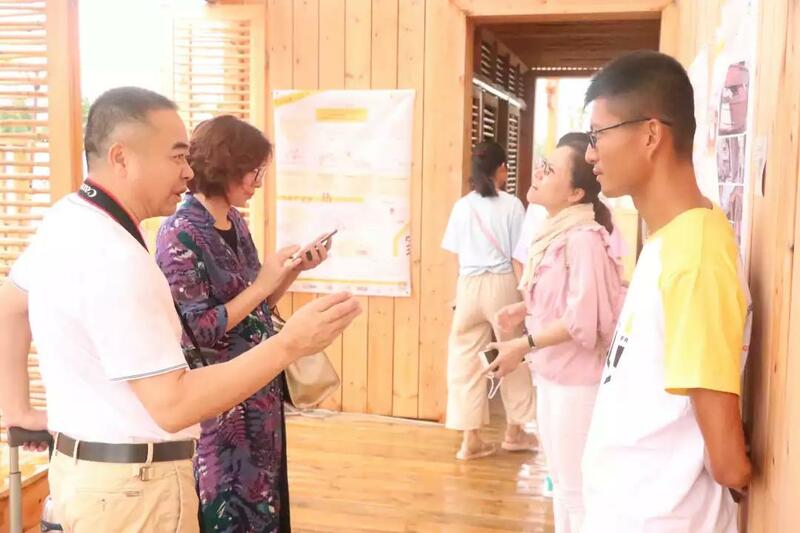 Daily activities continue, adhering to the tradition that all visitors are guests, Team JIA+ members patiently explain the unique features and concepts of "nature between" to the tourists, and the warm hospitality makes them feel the warmth of home. 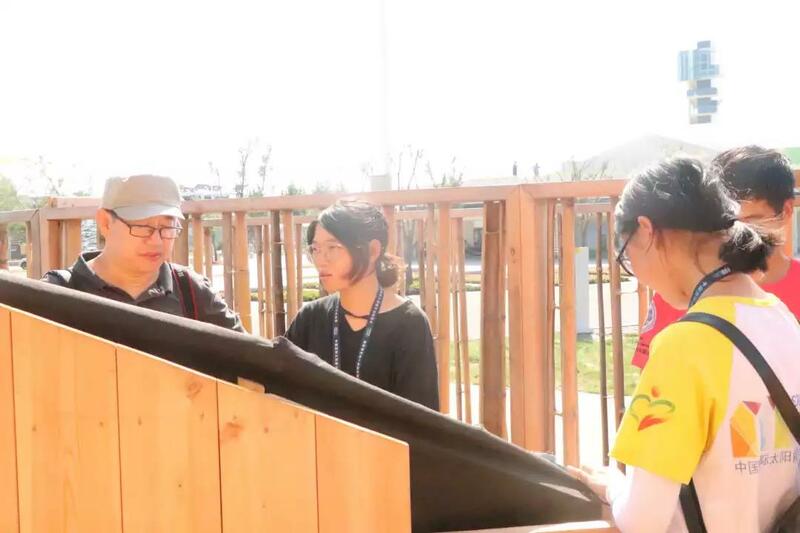 The habitat structure sponsor also came to the scene, accompanied by teacher lai yanhua of shandong university and classmate zhuang shichao of xiamen university. 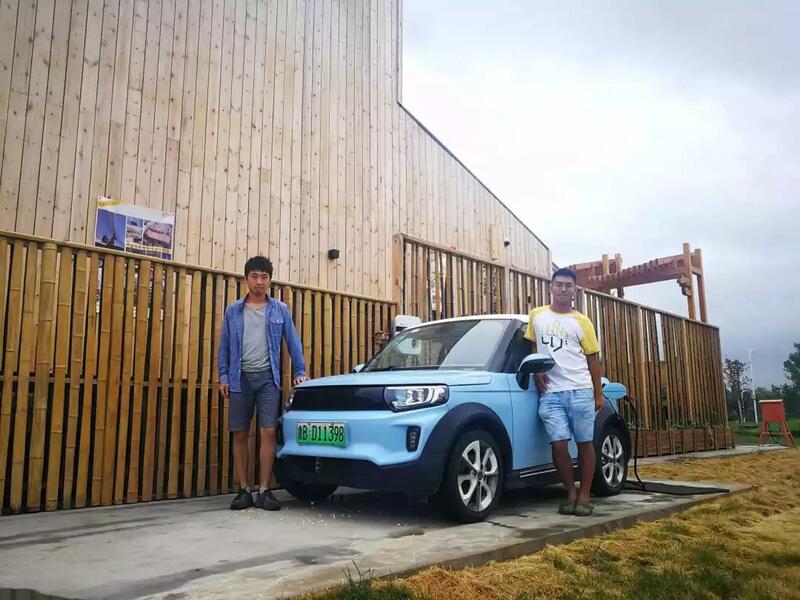 The habitat structure sponsor visit the house accompanied by Lai Yanhua from Shandong university and Zhuang Shichao from Xiamen university. 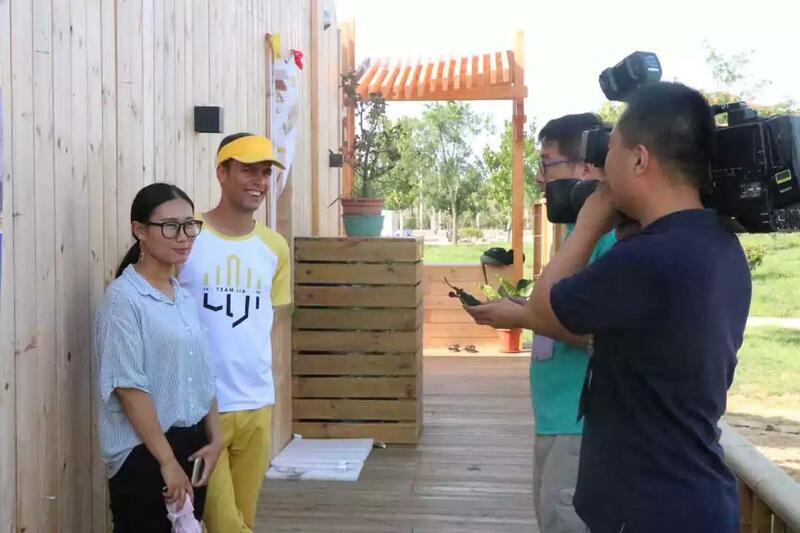 This afternoon, we were interviewed on DeZhou TV. 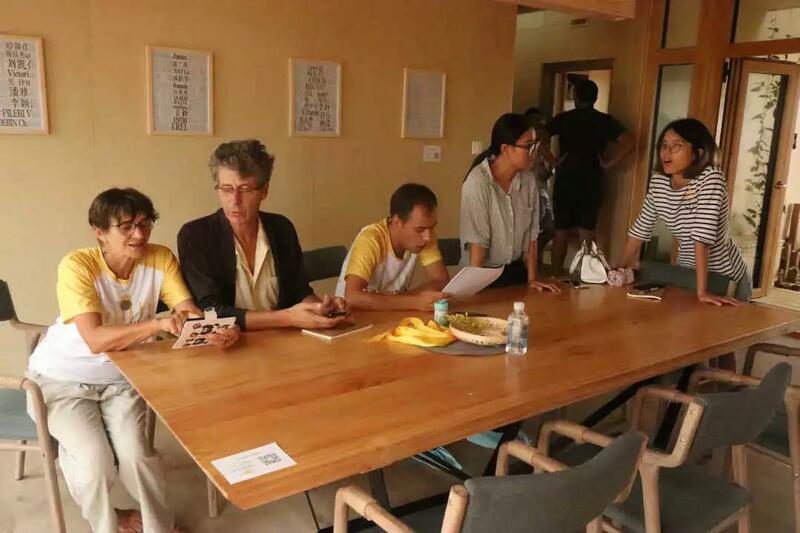 Zhou li from xiamen university and Nathanael from the league of Brittany of France, as the representatives, gave detailed explanations to our works and answered the questions raised by the journalists to expand the influence of the team. 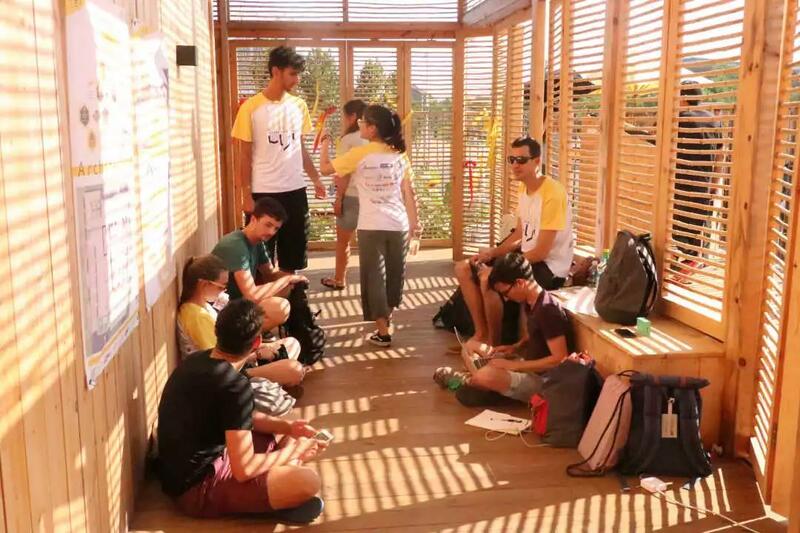 In the spare time, we sat in the western corridor of the house, the sunlight permeated through the bamboo grille, the interlacing of light and shadow, the overlapping of black and white. In retrospect of this more than a month, everyone must be full of emotion, but looking at the face on the other side, all turned into a smile, laughter. Progress must be made in all walks of life. We cannot be satisfied with what we have achieved. Yesterday is past. Only by doing well today can we embrace a better tomorrow.